The current state of health insurance and regulations in the United States has physicians so stressed that nearly half are considering changing careers while two-thirds would recommend against pursuing a career in medicine, a study found. The Aimed Alliance also found that nearly nine in ten doctors believe barriers set by insurance plans have led to worsened conditions for patients. Researchers with Aimed Alliance, a non-profit that seeks to protect and enhance the rights of health care consumers and providers, polled 600 physicians in the U.S. practicing either family medicine, internal medicine, pediatrics, or obstetrics/gynecology. The study found that 48 percent of doctors said they are considering a career change and two-thirds said they wouldn’t recommend medicine as a career. In the study, 87 percent of doctors say patients’ conditions have grown worse because of such red-tape, and 83 percent worry the patients will suffer prolonged pain as a result. More than nine in ten (91 percent) of those surveyed said insurers engage in “non-medical switching,” which forces patients to take less costly – but potentially less effective – medicines. Thirty-seven percent in the study said half or more of their daily stress is caused by insurance issues, and 65 percent feel they’re facing greater legal risks because of decisions made by insurers. The vast majority (85 percent) are left frustrated by such issues, and many admit to taking their anger and emotions out on their staff and even family members. The survey showed that 77 percent of doctors have had to hire more staffers to handle the heavier administrative load from insurance work. Ninety-percent say they have less time to spend with patients because of the burden. 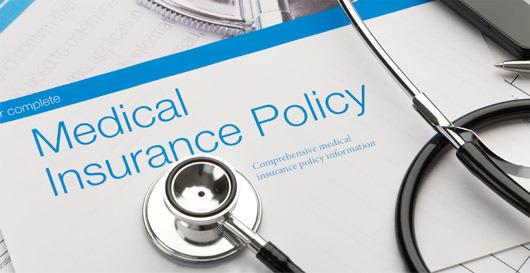 As for the aspect of insurers’ policies that doctors would like to see changed most, the majority (55 percent) agreed on an insurers’ ability to override the professional judgment of physicians. About nine out of ten (87 percent) respondents felt that insurer personnel interfere with their ability to provide individualized treatments for each patient.